The following parts are known to work in Bally ADDAMS FAMILY GOLD. 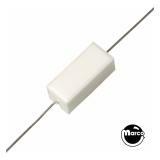 Metal Oxide Varistor (MOV), 130 Volt Used in the input power line. Axial capacitor 0.1UF 50v +/-20 axial Z5U temperature coefficient. 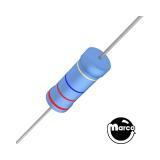 Capacitor 10 mfd non polarized 50v +-20% tolerance with axial leads.